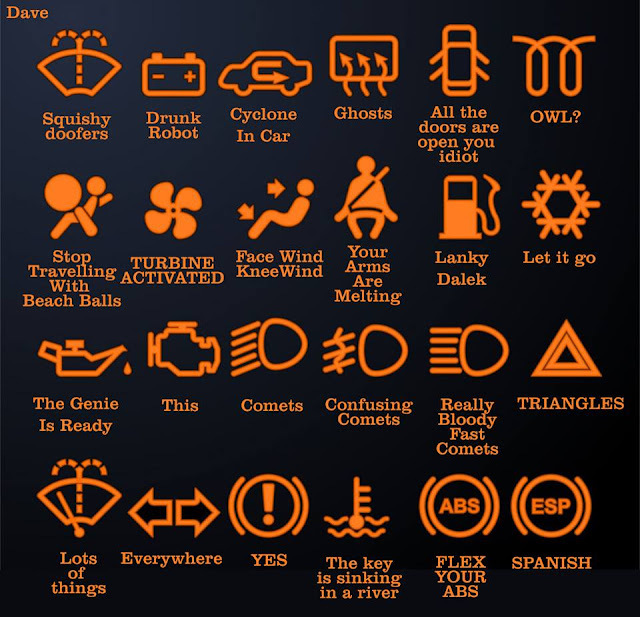 Everyone wonders what all those dashboard symbols mean. Well, some dude named Dave has created this handy guide. I recommend you print it and glue it to your windshield. Morris shouted across the garage, "Hey DeBakey! Is dat you? Come on ova' here a minute." 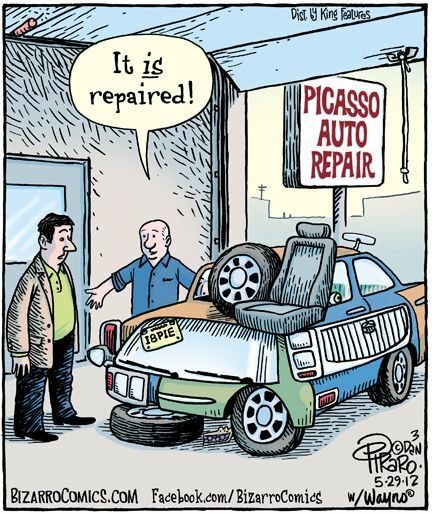 The famous surgeon, a bit surprised, walked over to where Morris the mechanic was working on the car. Morris straightened up, wiped his hands on a rag and asked argumentatively, "So Mr. Fancy Doctor, look at dis here work. I also open hearts, take valves out, grind 'em, put in new parts, and when I finish dis baby will purr like a kitten. So how come you get da big bucks, when you an' me is doing basically da same work?" Dr. DeBakey leaned over and whispered to Morris the loudmouth mechanic. "Try doing it with the engine running."